Drywall construction is ubiquitous in home building. 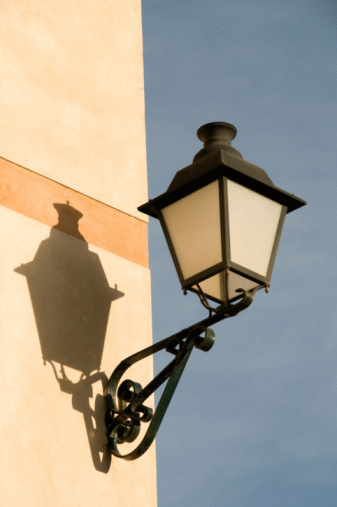 It's easy to put up and relatively inexpensive. Properly treated, it's perfectly adequate, but it can be damaged relatively easily if not treated with care. 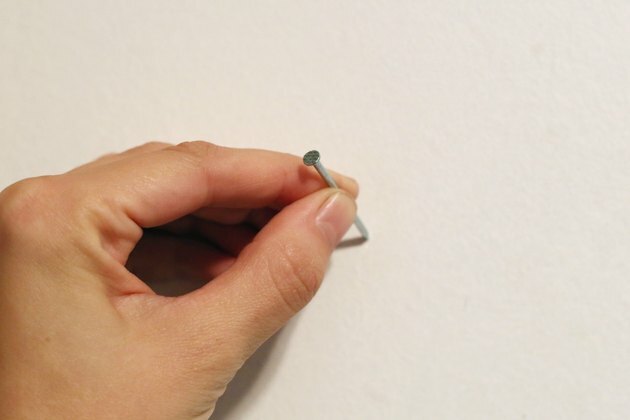 One of the most common causes of drywall damage is that caused by screws or nails pulling out of the wall when subjected to the weight of a heavy object. But with the right materials and techniques, this doesn't have to happen. 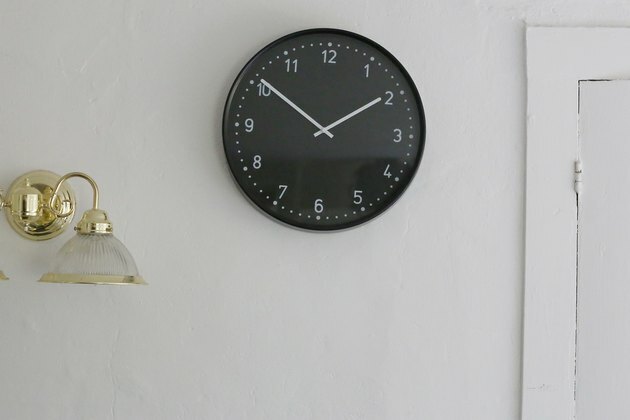 Determine the weight of the item you'll be hanging onto the wall. If you have a bathroom scale, simply step onto the scale while holding the item and record the weight. Then step onto the scale without the item and record the weight. Subtract the second number from the first, and you'll have the weight of the item. 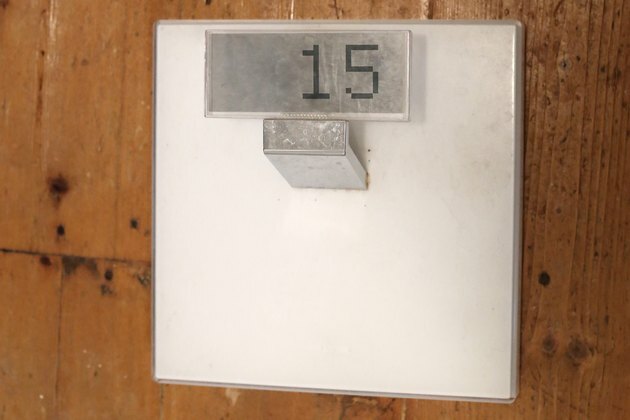 Select a hollow wall drywall anchor rated to hold the weight of your item. There are numerous styles of drywall anchors, and within each style there are different weight-bearing grades. 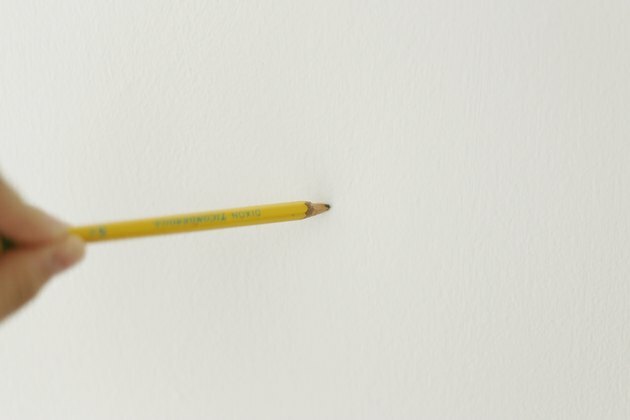 Mark the site at which you want to hang the object on your wall with a pencil. It's often sufficient to simply "eyeball" the location. But if you're putting up several anchors to hold items at precise locations (a series of shelf brackets would be a good example), you'll want to measure the locations carefully to be sure they're at a consistent height. Make a pilot hole on the wall where the anchor will go. The pilot hole ensures that the anchor starts its path into the wall smoothly and hits the location you want to mount it at precisely. In most cases, tapping a small hole into the wall with a No. 3 finishing nail and a hammer will do the job. 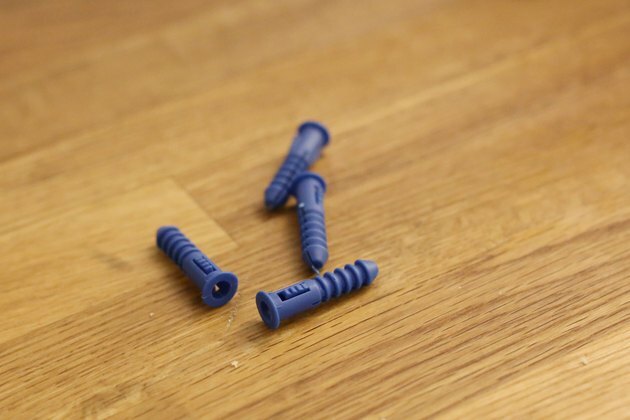 Check the directions on the packaging for your wall anchors. Insert your wall anchor into the wall using the pilot hole as a guide. 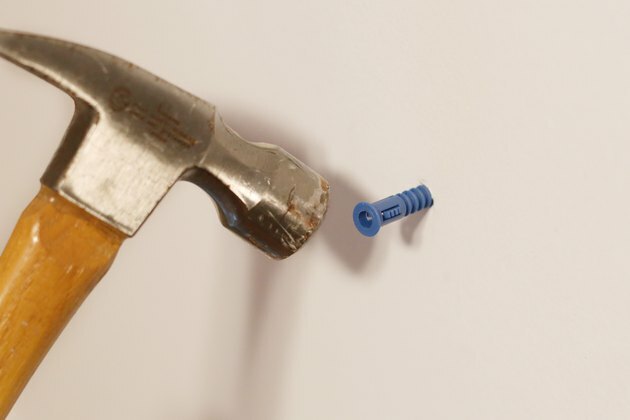 Some anchors screw into the wall, while others are tapped into the drywall with a hammer. 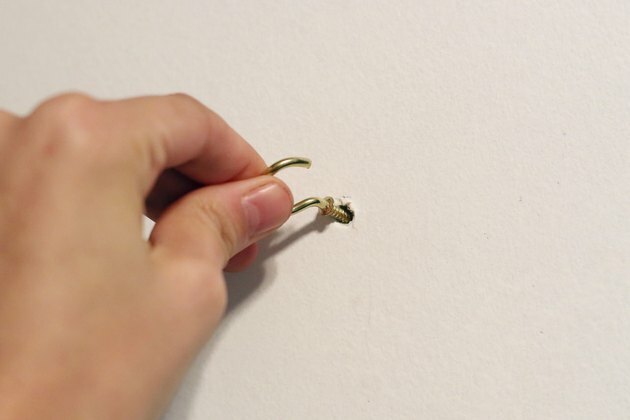 With the anchor(s) established in the correct location(s), install your mounting hardware, like a picture hook, into the wall using the anchor as the mounting point. Then hang your heavy item.